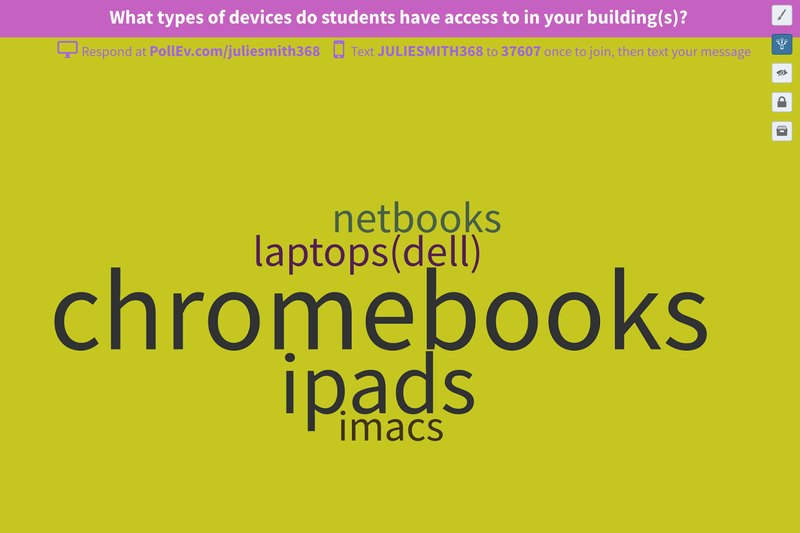 Engage Your Audience with Poll Everywhere for Google Slides™ | The Techie Teacher® . The popular polling web tool, Poll Everywhere, now has a Chrome extension that makes embedding different kinds of polls into your presentations quick and E-A-S-Y. It will work with Keynote, PowerPoint and Google Slides™. Today I am going to be focusing on the Chrome extension and will be demonstrating how this works with Google Slides™. 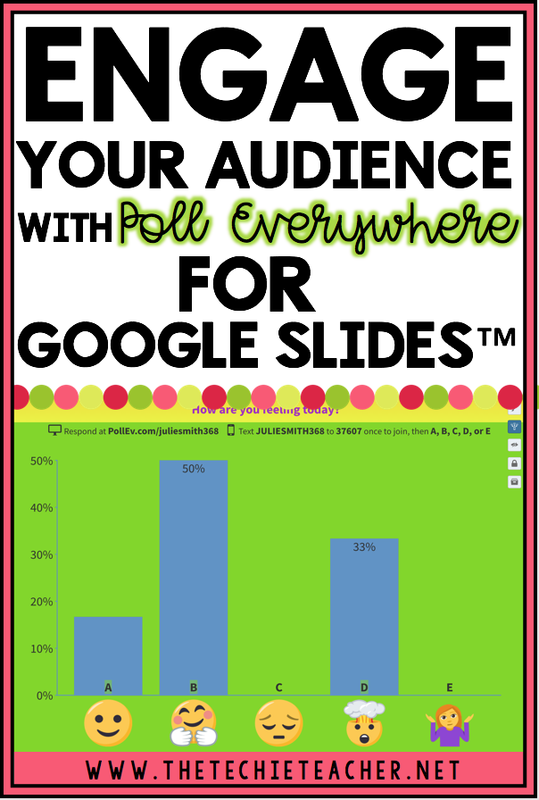 Once you install the Poll Everywhere Chrome extension, you will notice a Poll Everywhere dropdown menu appear on any Google Slides presentation you open. The first time you click on the dropdown menu you will be asked to create an account or sign into your Poll Everywhere account if you have previously used the website. Clickable Image: Can you find the 2 lime green markers that indicate where two of the participants were from? Clickable Image: Use emojis for your younger students to click/tap! Can you find the two lime green markers where two participants clicked/tapped? Multiple Choice: These questions will create bar graphs. You can choose to make them horizontal or vertical. 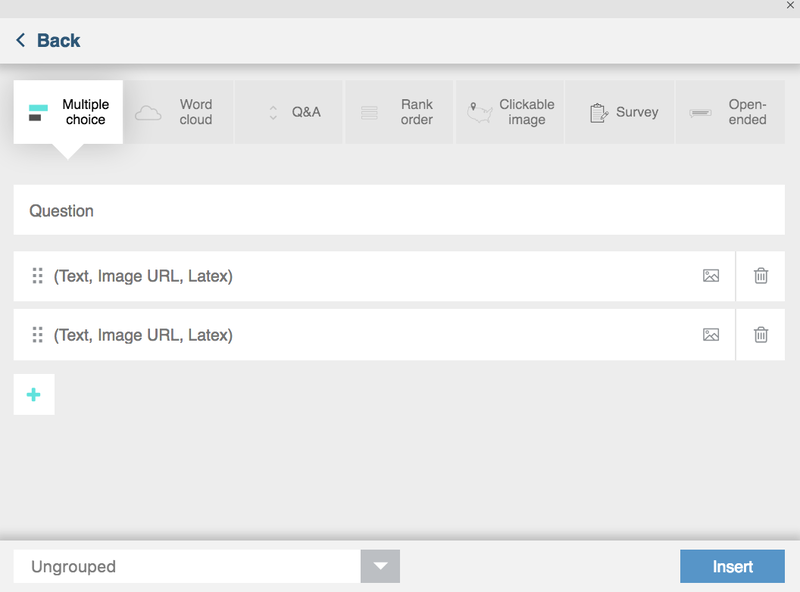 Multiple Choice: You can even insert your own images for answer choices! You can sign up for a FREE K-12 education account that will allow you to have up to 40 participants. The free version contains many wonderful options and varieties for different kinds of polls. The premium subscriptions come with a few more bells and whistles and you can check out the price list HERE. If you are not an educator, click HERE. Thank you so much for all your help! You ROCK!! Do we have to have the extension downloaded onto kids' chromebooks as well? No :) You just need to share the link with students.